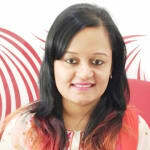 Dr. Devika is a popular Dentist in Sadar Bazar, Mathura. She has been a practicing Dentist for 8 years. She has done MDS Prosthodontics, BDS . She is currently practising at Oro - Care in Sadar Bazar, Mathura. Save your time and book an appointment online with Dr. Devika on Lybrate.com. Lybrate.com has a number of highly qualified Dentists in India. You will find Dentists with more than 33 years of experience on Lybrate.com. Find the best Dentists online in Mathura. View the profile of medical specialists and their reviews from other patients to make an informed decision. I have got my lower wisdom tooth removed in feb .everything is good now but the lower half lip and beard area under lips are not feeling sensitive .and very much paning now. Please help me out? It may b due to an injury in the associated nerve which may get damaged during extraction of the tooth. You should consult to your dentist for that. And for pain relief you can take analgesics like paracetamol. My dad is suffering from belching, constant burps in the morning as soon as he gets up. Also, while brushing teeth, this gets aggravated and he suffers problem in brushing. Then has to take rabetor d tablets to lessen this a bit. What can be the issue? He is 64 yrs old and diabetic from 28 yrs, having heart issues from 12 yrs and gerd from 2 yrs. Gerd is not an issue throughout the day but after he eats food and in morning he gets burps. Pls help. I have germs in my mouth. Always it was bleeding. And my mouth is always smelling. Please tell me some solution for this cause. Inflamation, infection or lifelessness in the tooth pulp needs root canal treatment for its restoration. My whole front teeth are crooked so can it be replaced by some new teeth and I don't want braces as it is for many years my age is 17. You can go for invasalign which are invisible braces. Or else get a cosmetic treatment where the doc would trim your crooked teeth n take the impression and get a new set of crowns which would be permanently fixed. I would suggest at this young an age you go in for ceramic braces or invasalign ones. In few days my taste buds are almost dead, I Feel only sour taste. I do not know about it? It is due to the over inflammation of tongue so we cannot get back the lost ones so it should go on just like that. Sir what is main problem in our teeth when we bite something and get sensitivities so much and it grows much? My teeth are yellow little bit. I am thinking of getting them white by teeth whitening by a dentist. Did it had any effect on my teeth.